The mollusks secrete a dopamine material that allows the animals to stick to nearly every surface, including Teflon. The researchers say that a synthetic version of this material—polydopamine—can be used as “a highly effective, water-applied flame retardant for polyurethane foam,” according to a university announcement. The nanocoating could potentially be used in lieu of conventional flame retardants. The teams’ findings were published in the journal Chemistry of Materials Sept. 9. 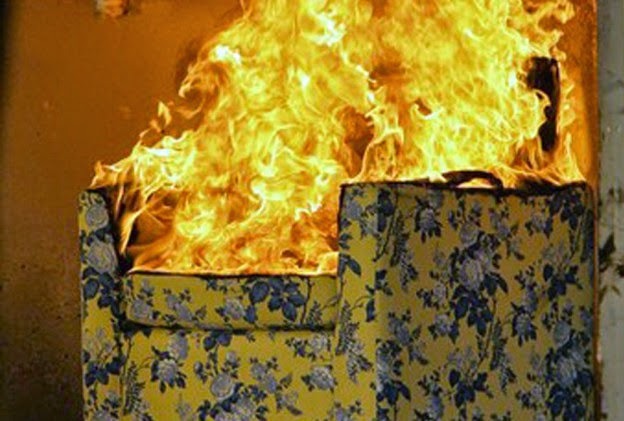 Flame retardant chemicals are added to foams found in mattresses, sofas, car upholstery and many other consumer products. The retardants are used to impede the ignition of flammable materials and slow fire spread. However, the health effects of some of these chemicals have sparked debate. According to the Environmental Protection Agency, some of these chemicals can persist in the environment, bioaccumulate in people and animals, and have been shown to cause neurological developmental effects in animals. Moreover, firefighters argue that flame retardants are contributing to their profession's increased cancer rates, which are almost double that of the general population. Throughout the U.S., there is pressure on state legislatures to ban flame retardants thought to pose risk to public health. In May, Minnesota lawmakers enacted one of the toughest bans in the U.S., prohibiting the use of four of the most commonly used flame retardant chemicals added to upholstered residential furniture and children's products. The team was drawn to polydopamine because of its ability to adhere to surfaces as demonstrated by marine mussels, who use the compound to stick to virtually any surface, including Teflon, the material used in nonstick cookware. “Since polydopamine is natural and already present in animals, this question of toxicity immediately goes away,” explains Christopher Ellison, Cockrell School of Engineering associate professor. Ellison led the UT Austin research team. Ellison’s team is thought to be one of the first to pursue the use of polydopamine as a flame retardant. Polydopamine was selected due to its ability to adhere to surfaces, the team said. Polydopamine also contains a dihydroxy-ring structure linked with an amine group that can be used to scavenge or remove free radicals. Free radicals are produced during the fire cycle as a polymer degrades, and their removal is critical to stopping the fire from continuing to spread. Polydopamine also produces a protective coating called char, which blocks fire’s access to its fuel source—the polymer. “The synergistic combination of both these processes makes polydopamine an attractive and powerful flame retardant,” according to the team. The researchers report that they were surprised that they did not have to alter the structure of the polydopamine from its natural form to use it as a flame retardant. Flame-retardant chemicals impede the ignition of flammable materialsa and slow fire spread. However, critics say the chemicals do not work as promised and create a toxic environment. The polydopamine was coated onto the interior and exterior surfaces of the polyurethane foam by simply dipping it into a water solution of dopamine for several days, the team reported. During testing, the team found that the polydopamine coating on polyurethane foams resulted in a 67 percent reduction in peak heat release rate, a measure of fire intensity and imminent danger to building occupants or firefighters. “The polydopamine flame retardant’s ability to reduce the fire’s intensity is about 20 percent better than existing flame retardants commonly used today,” the team reported. Ellison and his team are now testing to see whether they can streamline the nanocoating treatment process or develop a more convenient application process. “We weren’t expecting to find a flame retardant in nature, but it was a serendipitous discovery,” Ellison said. Ellison’s research received funding from a 3M Nontenured Faculty Award, DuPont Young Professor Award and the Norman Hackerman Advanced Research Program. Hey, sounds like a good answer to all those invasive zebra mussels clogging water intakes, et cetera. Make it cost effective to harvest 'em. This is a good discovery. Reducing halogenated FR in the environment without losing safety can't be anything but a win-win.